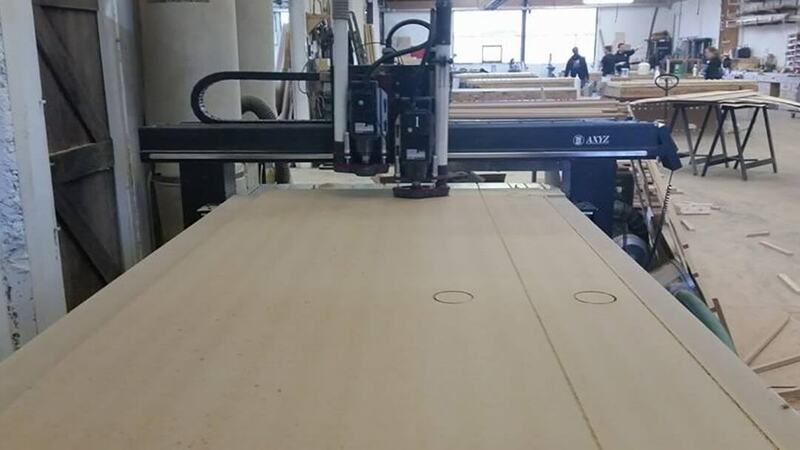 An AXYZ 6000 series cnc router, supplied by AXYZ, is said to have made a significant contribution to the continuing success of Kent-based All Scene All Props. Established in 2002 by founding partners Danny Hayter and Piers Ross, the company’s primary business is the provision of scenery and props for theatre and related performing arts venues that are renowned for their outstanding quality and ingenuity. These specialist building constructions have been used for many of the best known and most popular productions staged at prestigious theatre locations such as The National, Theatre Royal, Drury Lane and The Palladium in London and the Minerva in Chichester. Operating from a 25,000 square feet workshop near Tunbridge Wells, All Scene All Props offers a full range of services, from initial design concepts, materials specification, in-house construction and on-site installation, with the ability to handle all kinds of project regardless of size or complexity. The comprehensive in-house production facility includes specialist carpentry, engineering and scenic arts sections, together with a full-scale space to enable every project to be pre-built prior to delivery. In common with all AXYZ routers, the 6012 model can be supplied with a host of additional machining options. These include the AXYZ Auto Zone Management function that ensures the material being processed is always held securely during the routing/cutting cycle and the latest A2MC machine control system for optimum precision and smooth operation. The A2MC has a massive 16GB of memory for program storage and provides network connectivity for error-free program transfer. A further optional production tool enhancement is the latest AXYZ helical rack and pinion drive system. This incorporates a multiple gear teeth configuration that helps spread the workload more evenly, leading to greater routing/cutting accuracy, faster throughput speeds, reduced material wastage and ultimately a longer than normal machine life. For information on the services provided by All Scene All Props, visit www.allscene.net or telephone 01892 752221).